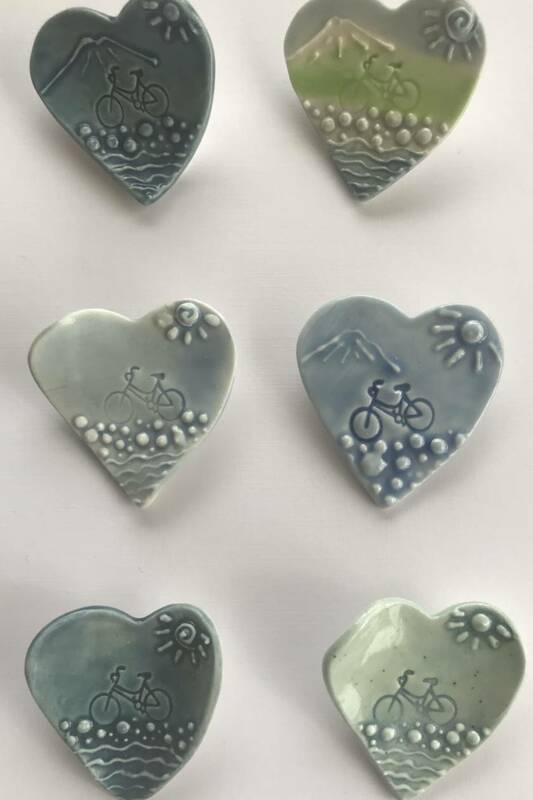 Ceramic love heart shaped brooches that I have detailed individually, so each brooch is unique. Reminiscent of biking alongside the beach on a summer day. Contact klei to enquire about payment or shipping options.